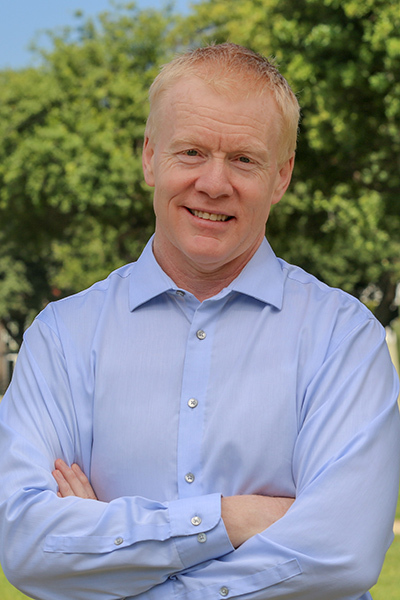 Claremont, Calif. (March 21, 2019) – Nigel Boyle, dean of faculty and vice president for academic affairs, has been named a Fulbright Global Scholar through a senior Fulbright grant for 2019-20. Next year, he will undertake three extended research trips to Pakistan, Germany and Vietnam as part of a research project focused on new liberal arts colleges. This is the second time Boyle has been awarded a Fulbright. In 2008-09, he received a Senior Fulbright Fellowship to Germany to conduct research on labor market reforms. The Fulbright Global Scholar Award allows US academics and professionals to engage in multi-country, trans-regional projects. Through a truly worldwide award, US scholars are able to propose research or combined teaching/research activity in two to three countries with flexible schedule options; trips can be conducted within one academic year or spread over two consecutive years.